Peeta Mellark | "You can't stop me." Peeta fan do anda like Gale 2 ? Are anda Glad that Josh plays Peeta? On a scale from 1 to 5, how much do anda like Peeta? When did Katniss start to fall in cinta with Peeta ? Ok here is the story!!!!!!! Hope anda enjoy!!!!!!! Don't resist, don't resist. My main is stylest Portia. My prep team that's working on me now is Kitty, Marco and Sparks. Kitty, a girl, wares a jeruk nipis, kapur green wig and suite, she had a light berwarna merah muda, merah muda colored skin. Marco and sparks are mails. Marco had dark skin and ware a emas suit. Sparks ware a suit with lights of all colors. These people are nuts! What is with these people? There accents were all most British like. I don't know how to explain it. Ok I will really try to keep my mistakes down. I read my third chapter and I found tons of mistakes. I am so sorry about that. I will try harder to keep them down. Sorry sorry sorry. Time for the story!!! Again this belongs to Suzanne Collins!!!!!!!! Peacekeepers march us into the Justice Building after the anthem is done. I was still shocked. Katniss. I have to keep her alive in the games. How? Maybe Haymitch could help if he ever soders up. Ill make him some how. How am I suppose to keep Katniss alive if I'm not good at this kind of stuff? Ill find a way. I wouldn't be able to stand it if she dies. I cinta her. This is all in Peetas point of view!! Hope anda like and this belongs to Suzanne Collins. No. This cant be right! Out of the thousands of names, it just had to be Primrose Everdeen. Why? Then Katniss volunteers. The odds are not in my favor. "Well, a volunteer! Oh how exciting! Come up here dear." Effie says and prim was yelling Katniss's name. Gale took Prim away off Katniss. Ok so this is just Peetas point of view in the Hunger Games. Hope anda like. Peeta is my favorit character from The Hunger Games, and I'm sure I'm not the only one who loves him so much. In this artikel I'm going to explain why I like Peeta so much. From being the boy with the roti to an extreme lover, Peeta has his taste of acting. At age 5 he saw the cinta of his dream Katniss. He swore that would be the cinta of his life and the woman he would marry. Little did he known that he would have to meet up with her again, but in a sad way. This time it was the Reaping. Peeta says that he loves Katniss on an broadcast with Claudius in the Capitol. This is the beginning for a romance story. From this point on, the story becomes dramatic, but also very sad and depressing. 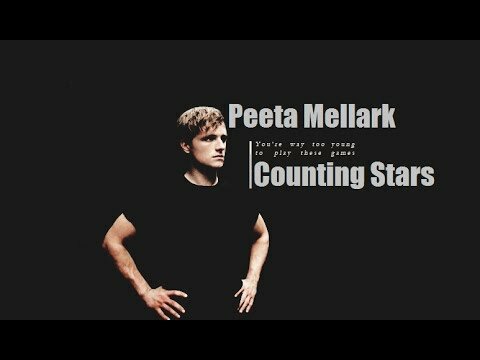 a video telah ditambahkan: Peeta Mellark | "You can't stop me." a comment was made to the poll: What Side are anda on? When did Peeta tell Katniss "forever" started for him, referring to his crush on her?